In 1927, county commissioner Edward V. Babcock personally bankrolled 4,000 acres of farmland to create North and South Parks. 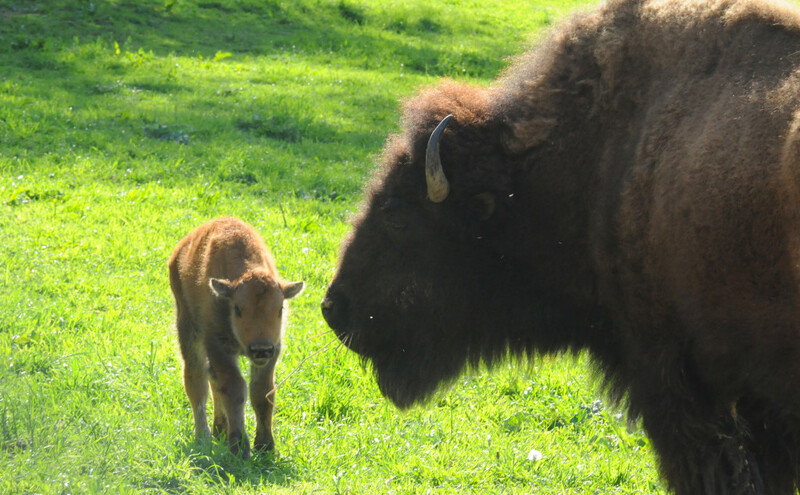 Native Americans from the Blackfeet tribe in Montana were invited to live in the parks and care for two herds of bison. Paul Riis, a landscape architect with a hand in creating Yellowstone was recruited to design and direct the parks. He used large stone works, waterfalls and other features to blur the lines between nature and the buildings, and set the tone for the rugged, naturalistic design style still found in the parks today. 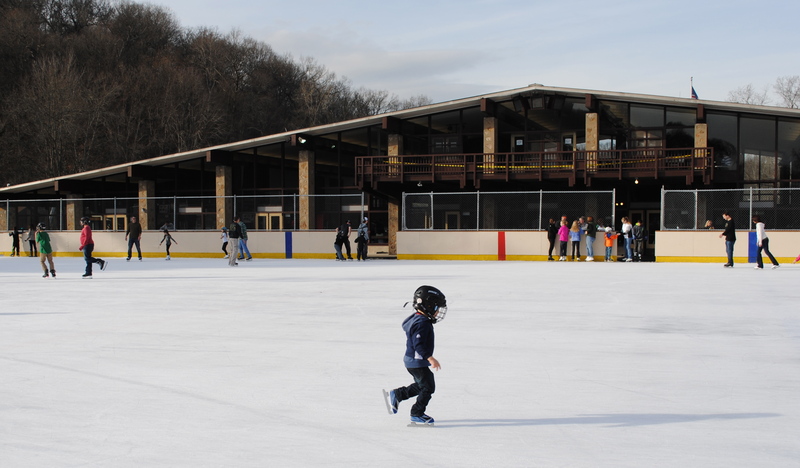 The story of the Allegheny County Parks continued with seven Regional Parks – Boyce, Harrison Hills, Hartwood Acres, Round Hill, Settlers Cabin and White Oak – created between 1958 and 1974. The five-mile paved trail around the 75-acre North Park Lake sees year-round action. Serious athletes in training, dog walkers, cyclists and rollerbladers all enjoy the largest of the county parks at over 3,000 acres. 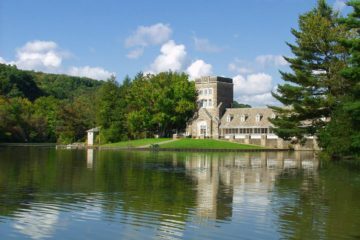 The lake has seen a rebirth with new occupants in the historic boathouse (designed by prominent architect Henry Hornbostel who is also known for the City-County Building and Soldiers and Sailors Memorial Hall). Kayak Pittsburgh rents stand-up paddleboards, canoes, kayaks and pedal boats from May through October. 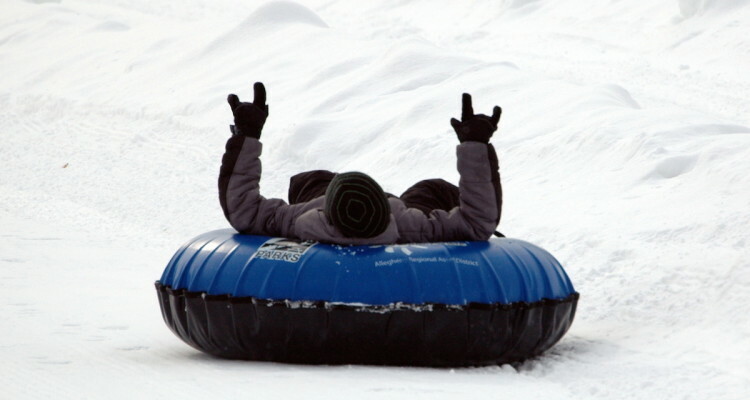 And if the lake freezes over in winter, you can add cross-country skiing and ice fishing to the activities. The swimming pool at North Park was once considered the largest in the world. Built for the 1936 Olympic trials, the 2.5-million gallon pool was not finished in time. Today it remains a great spot to swim laps for fun or train for the North Park Triathlon. Post workout, the Over The Bar Café serves up a great view of the lake from the Boathouse. Grab an Adirondack chair around one of the eight fire pits for the best seat in town. A 45-foot Story Pole stood in North Park for more than 80 years. It was carved by a chief from the Tulalip tribe and is now located at the Latodami Nature Center awaiting restoration. In 2009, over 400,000 cubic yards of sediment were removed from the lake. Lake depth was restored and the cooler water can now sustain more aquatic life. North Park has 43 miles of trails used for hiking, mountain biking, free riding and horseback riding. The trails also connect to the 4.3-mile Harmony trail and the 35.7-mile Rachel Carson Trail. Bison at South Park. Photo Margaret Stanley/Allegheny County. Chief Wild Eagle and the last of the Blackfeet tribe returned to Montana around 1931, but the last of the American bison herd can still be found roaming the hills of the Game Preserve. They are big. And so is South Park – the oldest and second largest county park with over 2,000 acres. The South Park Fairgrounds once attracted hundreds of thousands for the annual Allegheny County Fair. A $1 million renovation is now underway on the 77-acre site to reconstruct the half-mile former horseracing track, add ball fields and make other improvements. The amphitheater is home to the popular Summer Concert Series. The South Park BMX track is considered the best in the country. Originally built in 1978, the track still follows the same design and serves as a model for courses around the world. ESPN has filmed racing, obstacle and extreme jumping events here. The Whiskey Rebellion broke out in 1794 near the site of the Oliver Miller Homestead, which still stands in South Park. Take a self-guided tour of the log cabin on Sundays May-October. The Skybus never got much farther off the ground than the 1.7-mile elevated test track built around the fairgrounds in the 1960s. Dismantled in 1972, it is now the stuff of urban legend. Make sure to check out the Who Remembers Skybus Facebook page or watch the Skybus video on YouTube. There are 17 miles of trails in South Park with a connection to the 54.9-mile Montour Trail. Users can connect to the Great Allegheny Passage and a continuous 335-mile trail to Washington, DC. Only one park offers skiing–Boyce Park. Photo by Margaret Stanley/Allegheny County. In November 1758, George Washington and his troops camped in what is now Boyce Park. It was just days before General John Forbes’ army captured Fort Duquesne (now Point State Park) from the French. Today Boyce Park is a winter wonderland. 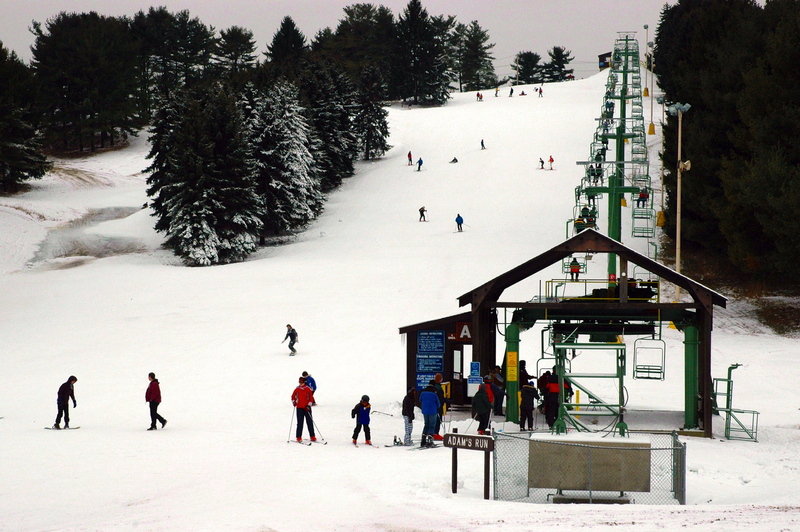 Downhill skiing, snowboarding, tubing and miles of cross-country skiing trails weave through this 1,096-acre park, anchored by the Four Seasons Activity Center. Visit the Nature Center, organic greenhouse, arboretum and museum, or take classes in art or horticulture. The 1st Lt. Neil Anthony Santoriello Memorial Archery Range was named for the Verona resident who was killed in Iraq in 2004. Mr. Santoriello had renovated the archery range for his Eagle Scout project. Archaeologists excavated a Monongahela village and 26 burial sites dating to the 14th century AD in the park. William D. Boyce Park was named after the founder of the Boy Scouts who was born in the area. Boyce Park has 21 miles of hiking and biking trails. Boyce Park is 15 miles east of downtown in the municipalities of Plum and Monroeville. Wagman Observatory at Deer Lakes Park. Photo by Michele Fetting. Atop one of the highest points in Allegheny County, the Wagman Observatory attracts stargazers from across the region. 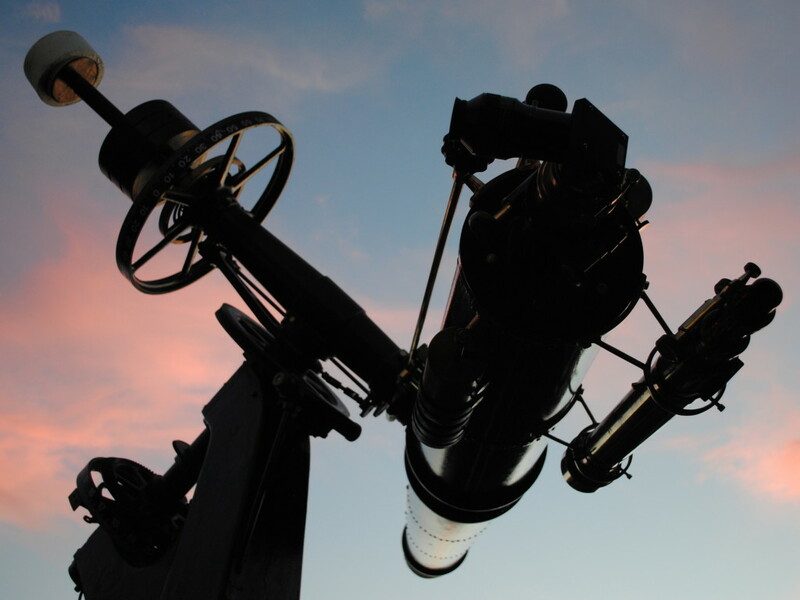 Star Parties are held throughout the year where visitors can get a “tour of the sky” from a member of the Amateur Astronomers Association of Pittsburgh. Star clusters and distant galaxies are visible through the two powerful telescopes – a Brashear 11-inch Refractor and a Manka Memorial 21-inch Newtonian Reflector. The communities around Deer Lakes Park have a long history of coal, oil and gas mining. Companies like Bessemer Coal, Republic Steel and LTV Steel all had sites in the area. An 18-hole disc golf course opened in 2010 with funding from the county and the volunteer efforts of the Pittsburgh Flying Disc Society. Deer Lakes has 21 miles of hiking and biking trails.